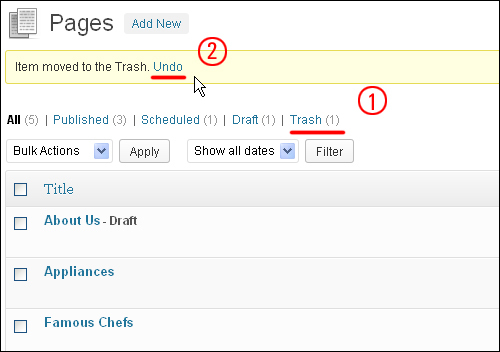 Editing and deleting WordPress pages is similar to editing and deleting WordPress Posts. 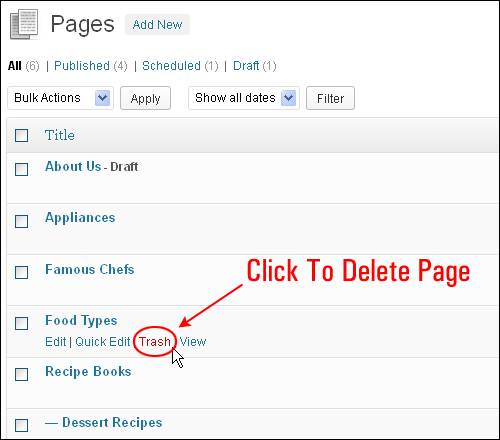 This tutorial shows you how to edit and delete individual WordPress Pages, how to use the features in the WordPress Table of Pages for performing bulk page edits and deletions, and some practical tips to save you time when using and editing pages. 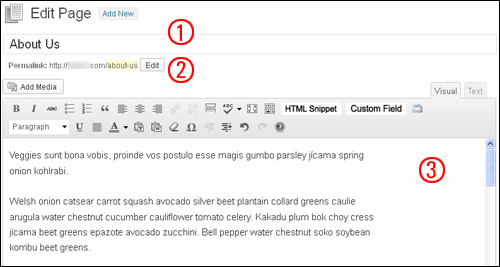 Complete the tutorial below to learn how to edit your WordPress pages. 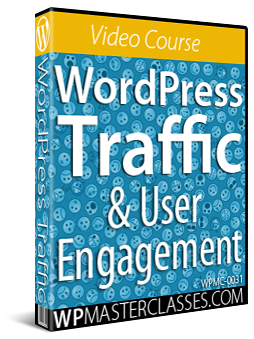 Page Title – Change the title of your page here. 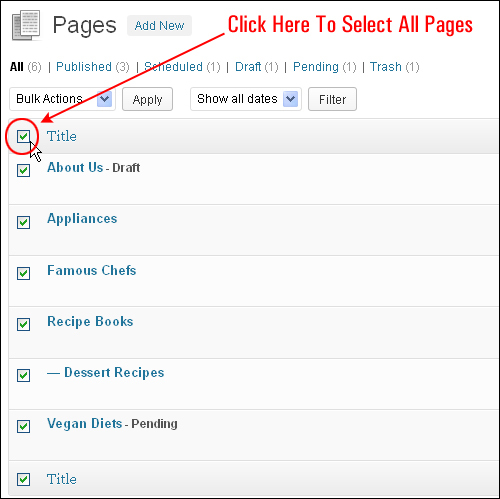 Permalink – Change the page slug here (this affects the URL of your page). 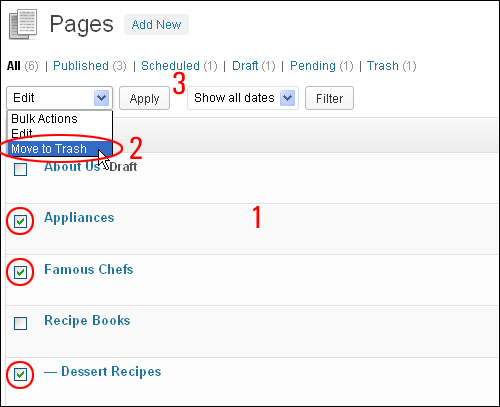 Content Area – Edit your page content here. 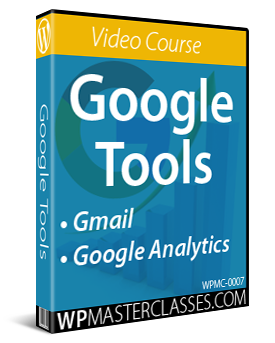 You can add, edit or delete text, insert and delete images, videos and other media, etc … using the Visual Editor and/or the Text Editor. 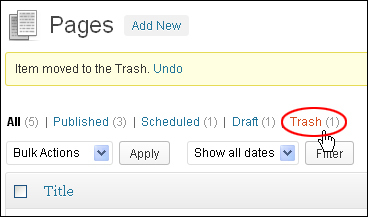 Note: You can also view your page while working in the Edit Page screen by clicking on the View Page button below the Page title (2) and preview any changes you make at any time by clicking on the Preview Changes button in the ‘Publish’ box. 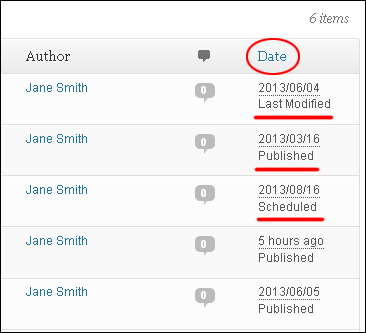 Title Column – The Title of each Page is displayed as a clickable link. Clicking on the Title link lets you edit the Page. 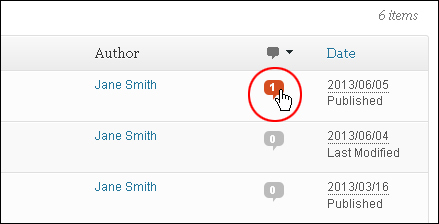 Comments – The column with the “comment bubble” displays the number of comments for each page. 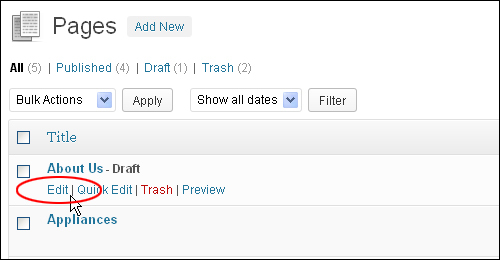 If any pages have comments, the number of comments will display in the comment bubble for that page. 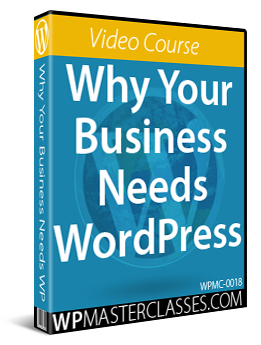 Note: Clicking on the comment bubble brings up the ‘Comments’ page, allowing you to moderate comments (see this tutorial to learn more: How To Manage WordPress Comments). 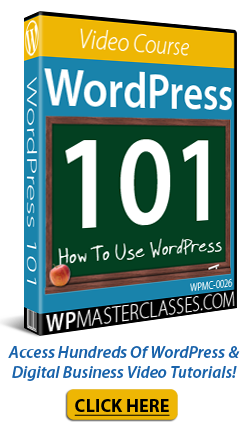 Now that you know how to edit a WordPress page, the next step is to complete the step-by-step tutorial below to learn how to delete your WordPress pages. Your Page will be moved to the Trash [See (1) below]. 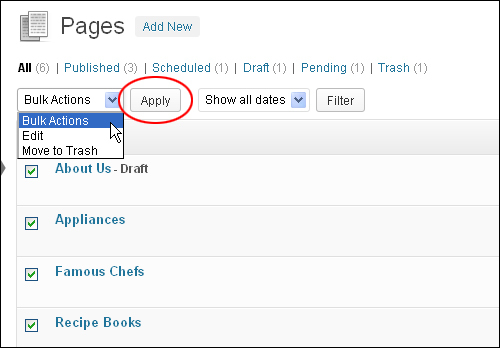 WordPress offers a number of options to filter and display selected Pages. 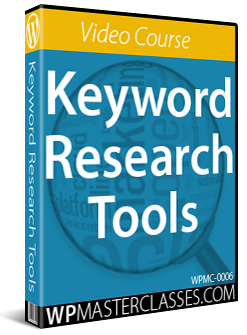 Above the Table of Pages, you will see links (e.g. 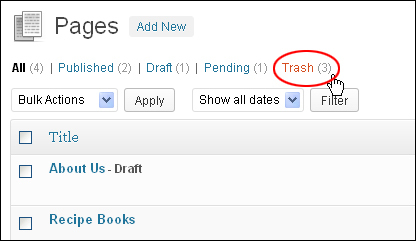 All, Published, Scheduled, Draft, Pending, Private, Trash, etc.) displayed with the number of pages assigned to each status. 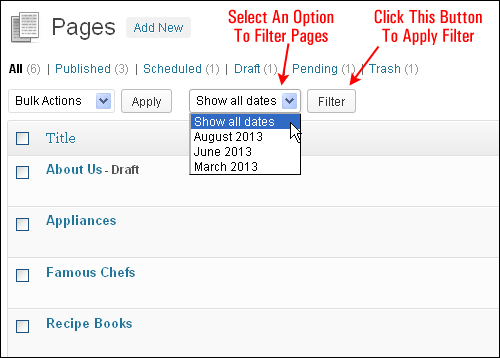 By default, “Show all dates” is selected and all of your pages are displayed. 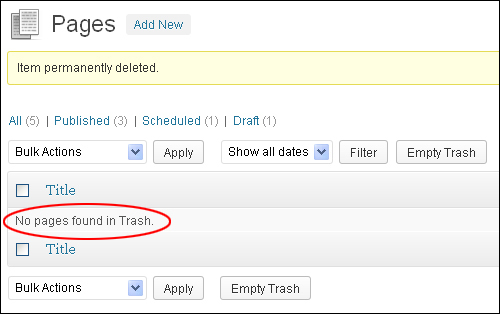 WordPress also allows you to edit and delete multiple WordPress pages at once. 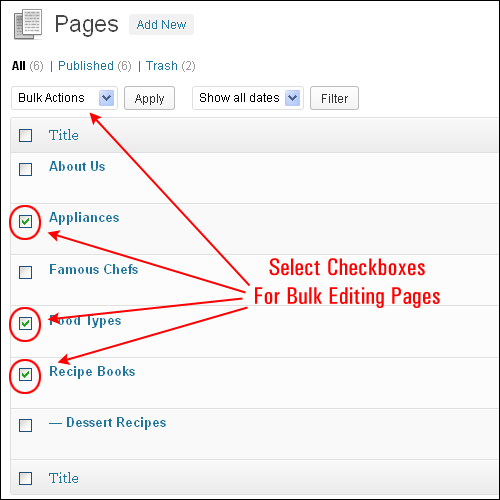 This is useful if you are performing WordPress management or bulk administration tasks such as removing old or unwanted pages, or if you would like to make bulk changes to specific sections of multiple WordPress pages. 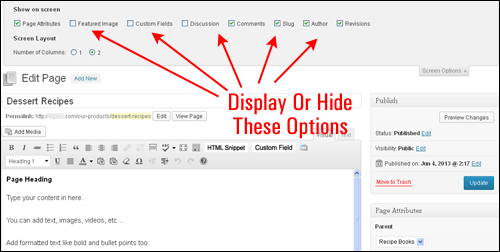 Author – Use the dropdown menu to change the Author for all selected pages. 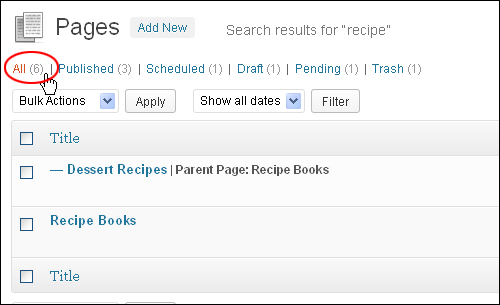 Parent – Use the dropdown menu to select a new Parent Page for your selected pages. 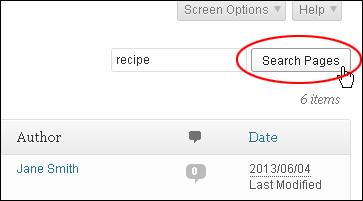 Comments – Use the dropdown menu to allow / not allow comments for all selected Pages. 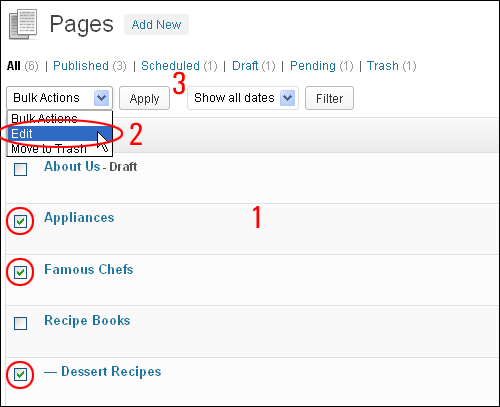 Status – Use the dropdown menu to change the Status of all selected pages to Published, Private, Pending Review, or Draft. 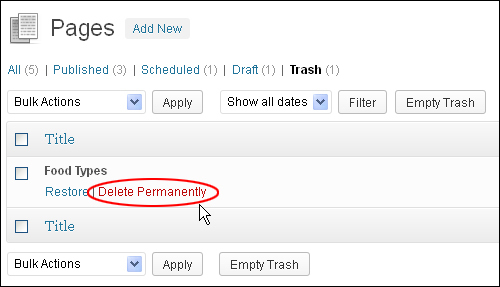 Your pages will be moved to the trash after selecting your pages to be deleted [see (1) above] and clicking the Apply button [see (3) above]. The contents of the trash will display on your screen. Congratulations! 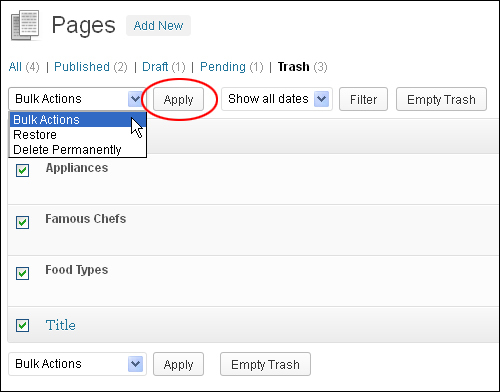 Now you know how to edit and delete WordPress pages.